Please note: Report Appendix is not available on-line. 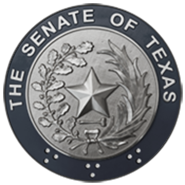 Please contact Senate Bill Distribution at (512) 463-0252 for a full copy of the report. Develop a sound agricultural policy for Texas in the 21st Century by comprehensively studying the condition of agriculture, the state's current programs in support of agriculture, and the role of the state in preserving the agriculture industry. The Committee Shall work closely with the Texas Department of Agriculture, the comptroller, the Texas Department of Economic Development, and other agencies and institutions of higher education as determined by the lieutenant governor and the speaker of the house of representatives.